While designing a work of manipulated sounds the interest is focused on the process, and in large part it is the case that what might be generously called the composer's perspective-- fed by the familiar works that directly or indirectly influence the outcome of the sound design-- is not very apparent over the course of that process. Later, following a number of times spent listening, some of those influences come to mind. There are some basics informing all these Black Mountain School works, from general elements of sound and production to specific pieces. Generally speaking, along with such works as Eno's Music for Airports and On Land, it is possible to perceive the impact of a variety of musicians and albums upon the sound and production qualities. Among them are Pink Floyd's Ummagumma, Wendy Carlos' Sonic Seasonings, Roxy Music's For Your Pleasure, and the "atmospheric" qualities of such diverse albums as Miles Davis' Kind of Blue, Close To The Edge by Yes, Green River by Creedence Clearwater Revival, Azimuth by the group of the same name, Nat Adderley's Calling Out Loud, and a variety of tracks by The Doors, David Bowie, and The Velvet Underground. Quite likely there are some elements of The Three Stooges in there as well. In academic settings, we expect young people to engage in scholarly pursuits as fully as they dive into the popular diversions of the day, yet we appear shocked when they only touch upon them superficially or avoid them altogether. Absurdly, we fail to recognize these same errors in our own approaches to problem-solving and conceptual thinking, and place the blame upon some nebulous demon we call stress. Clearly, the mind is resilient and adaptive to stimulation of all sorts, and to simply eliminate stimulation altogether leaves an environmental void rather than a pleasing transition into a more rational or receptive state of consciousness. 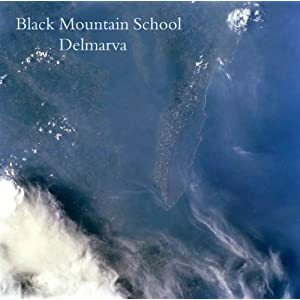 The music of Black Mountain School and Ghost Radio Orchestra evolved over the course of a decade in close association with such scenarios in the academic workplace, the teaching and learning environment. As a teacher of literature and writing, I found that certain ambient compositions contributed to a classroom atmosphere of a pleasant and rewarding nature, as such music enhances, rather than dominates, attention and thought; the mind clears, yet the imagination remains alert and engaged. And unlike recordings composed in predictable patterns with repetitive elements, whether pop songs or classical works, its presence does not insist on undivided attention. One may ruminate over an idea, engage in conversation, read a book, paint a canvas or engage in some everyday task, and be elevated, to some subtle degree, yet undistracted, by the music. Consider the idea that silence may sometimes be as much of a distraction as noise. 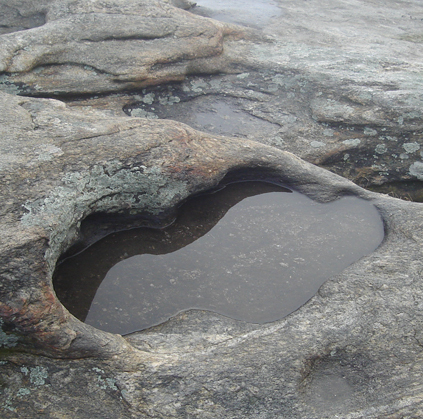 The mind, like a muddy pool after a rain, does not settle and become clear all in a moment's time. Having grown used to tuning out much that is loud and disconnected, it is not always easy to tune in to an environment conducive to introspection, reading or writing, or simply unwinding. Foot shaking and the like. Fidgety, repetitive, rhythmic patterns. Nervous energy, perhaps. Restlessness. Do these things result from external sound patterns? Are they carried on after those patterns are removed? Rhythm, melody, and percussion are expected in music. It may be these things are essential to most listeners, and that music not dominated by these does not qualify as "music" at all, but is then, maybe, something like a "tone poem" or a sort of atmosphere established with sound. That's up to the judgement of the listener, certainly. Does it really exist? Or is it a mythical land of wild ponies and mystical visions, a legend only dimly understood by the National Weather Service as an archetype of human dreams ? 30 min. excerpt from the new album The Celestial Way﻿. The Celestial Way, or way of heaven, is of course the Tao, and the way of the sage. Across all cultures it can be thought of as the way of conforming the will to the phenomena of existence, which is how the Stoics put it, or of transcending the ego in general and seeing the world and the human condition more reasonably, being less attached to material things and all that. The ancient and the state-of-the-art are interwoven cultural themes in contemporary China, as I noticed while spending ten days there recently on what might easily, if archaically, be called a whirlwind tour-- a hectic, though graciously hosted, journey through areas both urban and rural, plainly conceived to leave the visitor with the best possible impressions. There is indeed much beauty to experience, particularly in the Yangshuo area, with its karst mountains and the Li River, and much of this album was inspired by the environment there. While the music retains a western perspective, it is nonetheless composed of impressions and aural sketches brought to mind while passing through, and captured briefly in the field recordings of the birds, wind, and water one morning around five am.